Following the UK’s decision on June 23rd to leave the European Union, we have submitted a letter to all Members of Parliament in the United Kingdom requesting their support for freedom of movement with Australia, New Zealand and Canada. All 650 members have received the letter attached below, outlining the benefits of free movement for British citizens and the economy. We will provide updates of those who pledge their support for our initiative, and forward similar letters to Members of the Australian, New Zealand and Canadian parliaments in due course to maximise the effect of our campaign. We believe that following the UK’s “Brexit” vote from the European Union, we have a tremendous opportunity to advance the Commonwealth freedom of movement agenda with our elected officials, and campaign for our initiative to be adopted as official UK government policy. With the United Kingdom’s momentous decision to leave the European Union, we have been given a truly once in a lifetime opportunity to reassert our bonds with the Commonwealth nations of Australia, Canada and New Zealand. As we negotiate our exit from the EU, we can also begin to negotiate the re-establishment of our rights to live and work in Australia, Canada and New Zealand, based on the highly successful Trans-Tasman Travel Arrangement that currently operates between Australia and New Zealand. In pursuing this, we will embrace our future outside the European Union, forging a new role in the world which will leave us more prosperous and diplomatic within the Commonwealth. 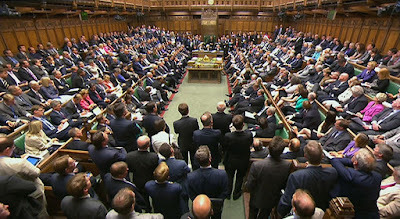 The benefits of re-establishing our citizens’ rights to live and work in Australia, Canada and New Zealand will be substantial, and will, in our estimation, form an important bridge in allowing our economy to evolve further as a leader of innovation, giving the United Kingdom a real and decisive competitive advantage in the global economy while retaining control over immigration and border security. Re-establishing citizens’ rights to live and work throughout the Commonwealth has wide spread support in all four nations. A major international poll conducted by the Royal Commonwealth Society, in March 2016, found that 70% of Australians, 75% of Canadians, 82% of New Zealanders and 58% of Britons support the free movement of citizens between our countries. This shows a remarkable level of support and provides a clear mandate for promoting free movement within the UK parliament. The key to our future prosperity lies in how effectively we innovate and compete in an increasingly globalised marketplace. By securing the ability of British citizens to work and study in Australia, Canada and New Zealand, we will unlock a unique and substantial competitive advantage for our nation globally. In effect, we will create the foundation of a single labour market servicing the world’s third largest combined economy. Throughout this huge region, British citizens will work and study freely while our businesses recruit the best talent, all without the cost, risk and often lengthy delays currently experienced. The ability to work and study in Australia, Canada and New Zealand will also promote innovation, as we will have unparalleled access to the ideas and innovations being developed in the North American and Asian-Pacific markets. The expansion of our immigration policy should, in our opinion, be secured through non-binding ministerial agreements such as those which form the basis of the Trans-Tasman Travel Arrangement between Australia and New Zealand. The advantage of this approach is that it leaves the United Kingdom free to adjust the agreement(s) as the situation demands without impediment, as well as ensuring that we retain full control over our borders and immigration system with no dilution of sovereignty. With the British public voting to leave the European Union, we now have the greatest opportunity for our nation to achieve freedom of movement, and secure economic and social prosperity for citizens of the United Kingdom, Australia, Canada and New Zealand. We share the same Head of State, the same common-law legal system, the same culture, the same respect for democracy and even the same language. It is now time for us to embrace our historical ties, and grasp the substantial benefits that freedom of movement between our four nations would bring. I look forward to your response, and sincerely hope we can work together in promoting this popular mandate within the UK parliament.